Interested in a call center career that allows you to assist medical providers, service companies and a wide variety of businesses with their incoming telephone call processing needs? Join the A Quality Answering Service team in Hudson, Florida! 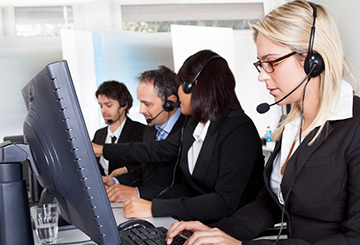 If you live near Tampa Bay, FL or in the surrounding area and are customer-service oriented and you like to solve problems, learn new skills, or persuade people, then a flexible contact center, customer service, or sales representative job with A Quality Answering Service could be ideal for you! We can provide you with employment opportunities in temporary, temporary-to-hire and direct-hire roles, for both traditional office and home-based assignments. Access to work, where and when you need it. Great customer service and call center professionals don’t just pick up the phone; they help pick up customers, revenue and market share. We know how vital they are, and we want to connect with them.